LET US HELP YOU SOLVE YOUR WINDOW TREATMENT PROBLEMS BEAUTIFULLY, EFFICIENTLY & ECONOMICALLY. 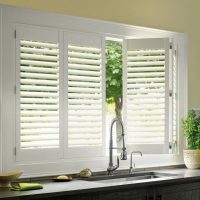 We specialize in motorization of draperies, shades and blinds as well as exterior shades and awnings. We also sell window films for heat, glare, privacy, security and anti-graffiti. Servicing residential and commercial accounts throughout San Diego, we pride ourselves on our expert knowledge and superior customer service. We offer competitive pricing to meet the budgetary needs of our customers. Our design experts provide free in-home or in-office consultations. Schedule your no-cost appointment with one of our experts today. Del Mar Windows & Tint offers a wide variety of choices in every price range. They suggested we tint our expansive windows to protect our furniture and it was the best decision. It lets all the light in while keeping the furniture protected and the room cooler. Along with their incomparable knowledge, they also provide impeccable service. I highly recommend Del Mar Windows & Tint. SCHEDULE YOUR FREE IN-HOME OR IN-OFFICE CONSULTATION.